O everlasting God, who revealed truth to your servant Phillips Brooks, and so formed and molded his mind and heart that he was able to mediate that truth with grace and power: Grant, we pray, that all those whom you call to preach the Gospel may steep themselves in your word, and conform their lives to your will; through Jesus Christ our Lord, who lives and reigns with you and the Holy Spirit, one God, for ever and ever. 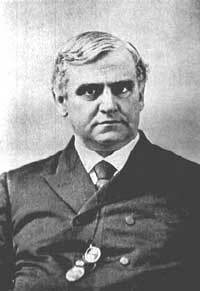 Phillips Brooks is best known today as the author of O Little Town of Bethlehem. Former generations, however, accounted him the greatest American preacher of the nineteenth century (and not for lack of other candidates). His sermons are still read. He was born in Boston in 1835 and educated at Harvard and at Virginia Theological Seminary. After ten years of ministry at two churches in Philadelphia, he returned to Boston in 1869 and was rector of Trinity Church there until 1891. He was then elected Bishop of Massachusetts, and died two years later. More information may be found in Wikipedia.